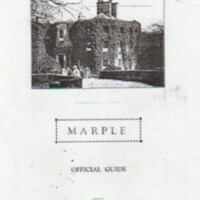 Assortment of photocopied photographs of Mellor Lodge from various sources including Stockport Library and F Robinson's Album. 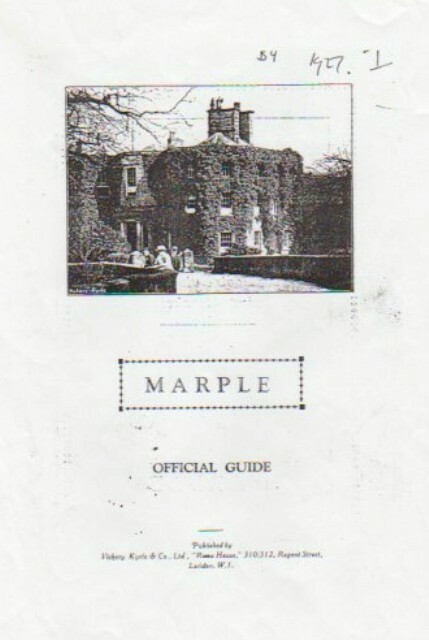 Photocopy of front Cover of the Official Guide of Marple, showing Mellor Lodge. 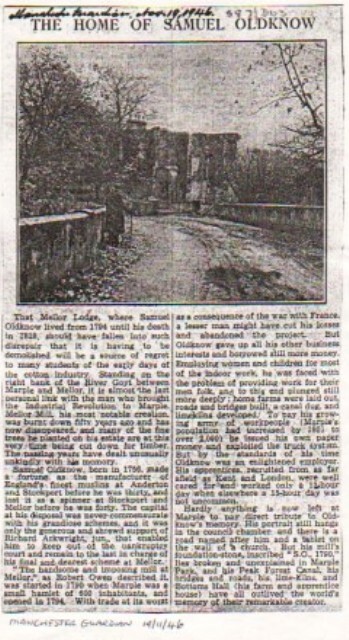 Photocopy of Manchester Guardian article from 19/11/1946 "The Home of Samuel Oldknow" reporting on the proposed demolition after falling into disrepair. 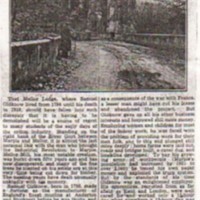 “Mellor Lodge : Photographs & Newspaper Article,” Marple Local History Society Archives, accessed April 24, 2019, http://marplelocalhistorysociety.org.uk/archives/items/show/2336.